I've wanted to make comics since I was a kid. 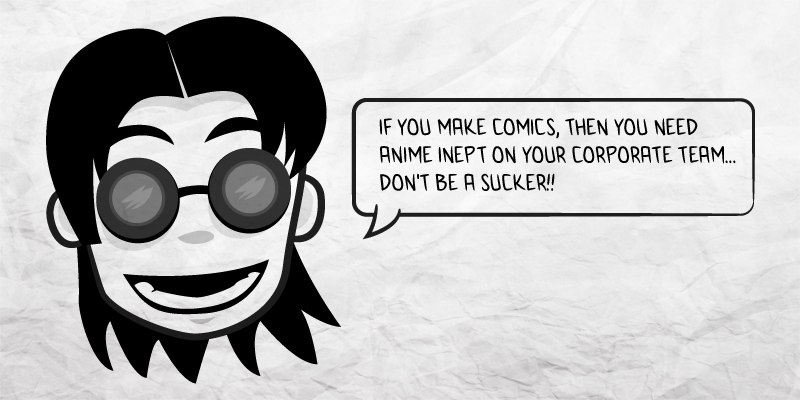 There are many free comic fonts, but Anime Inept has a more handwritten flow to it. Of course, comic book text is always uppercase. This font includes many foreign characters and characters as well. Anime Inept only comes in one weight, but if you're resourceful you can bold it on your own. You need Anime Inept on your corporate team! Excelsior! This font is free for any personal or commercial project.